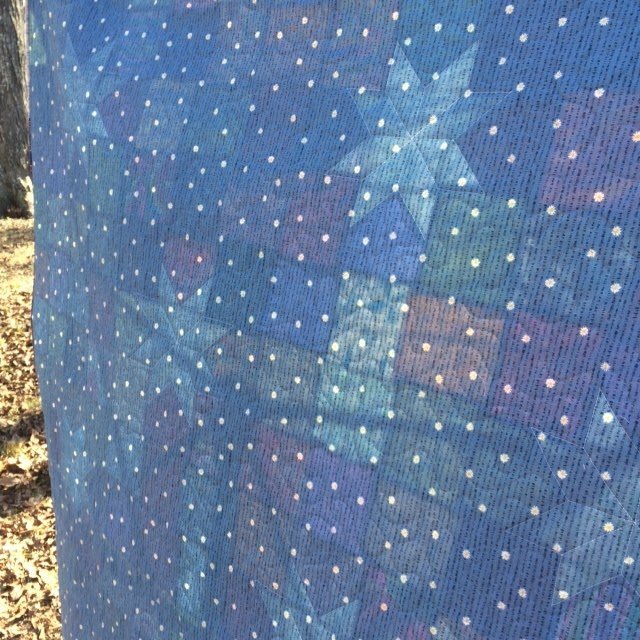 "I guess the best name for this quilt would be "Scrappy Stars"! 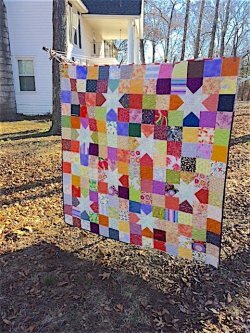 It's very simple - using 5" squares, you make eight 9-patch blocks and eight Charming Stars blocks. Assemble them together in a checkerboard pattern and add a border made of 5" squares (that's so you don't lose those cute star points by covering them with your binding) and you're done! 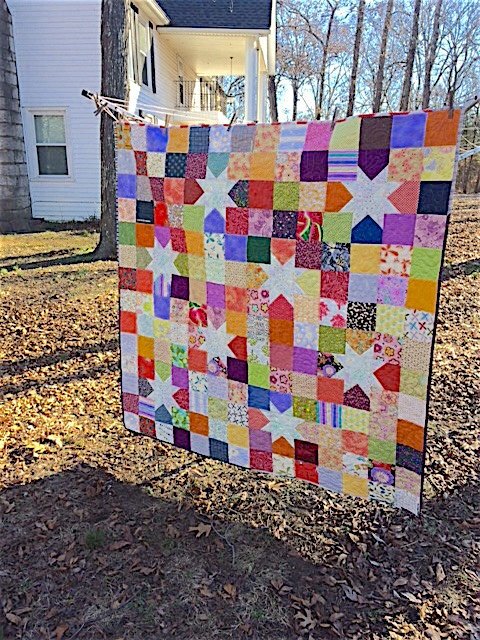 This quilt finishes out at about 63" square, and is a great size for a charity quilt. It would also be simple to make it smaller or larger, either by reducing the number of blocks, or by using smaller squares to create the blocks in the first place."